Save $20 on Museum Membership & Give Your Little Ones a Whole Year of Play! From now until the end of August, become a member of the Children's Museum of Phoenix and SAVE $20 off the regular membership fees. With this special offer, memberships start at just $105 for the two-person Climber membership - that's less that $10 per month for an entire year of interactive, educational experiences in our 48,000 square-foot, award-winning Museum. Free admission for one year from date of purchase. Two additional general admission passes. 10% discount at the Children's Museum Gift Store. 10% discount at Crave Sandwich Cafe (Museum location only). Special Birthday Party and Baby Shower discounted rates. Discounts and advance notice on programs and workshops. Invitations to exclusive Members-only special events. Click here for more information about Museum Memberships. The $20 discount applies to all membership levels. Memberships must be purchased in person at the visitor services desk between August 14th and August 31st. The discount does not apply to memberships purchased over the phone or on the website. This offer is valid for purchases of new memberships only, and cannot be used for upgrades, nanny cards or grandparent cards. It CAN be combined with the RE-PLAY discount for even more savings. Shopping for K-12 essentials? We've gathered our top picks for K-12 school essentials, including must-have school supplies, backpacks and lunchboxes, clothes, books, and much more--all you need for kindergarten, elementary school, middle school, and high school. Have a look around and find everything you need to send the kids back to school. Everything from back packs, erasers, band instruments and snacks! 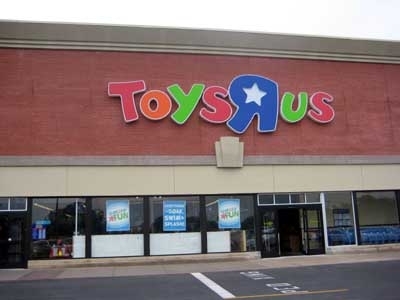 While most of the low priced items are our of stock, take advantage of a free $5 @ ToysRUs.